The large Tripod Head Quick Release Plate from Kirk Enterprises is a satin silver anodized 6061-T6 aluminum plate designed to fit tripod heads with an approximate base diameter of 2.25" or over and with a threaded 3/8"-16 socket. The included set screw threads through the bottom of the plate to secure itself to the head. The quick release plate is compatible with the Tripod Head Quick Disconnect System that enables you to swap out different heads on your tripod for multiple applications. 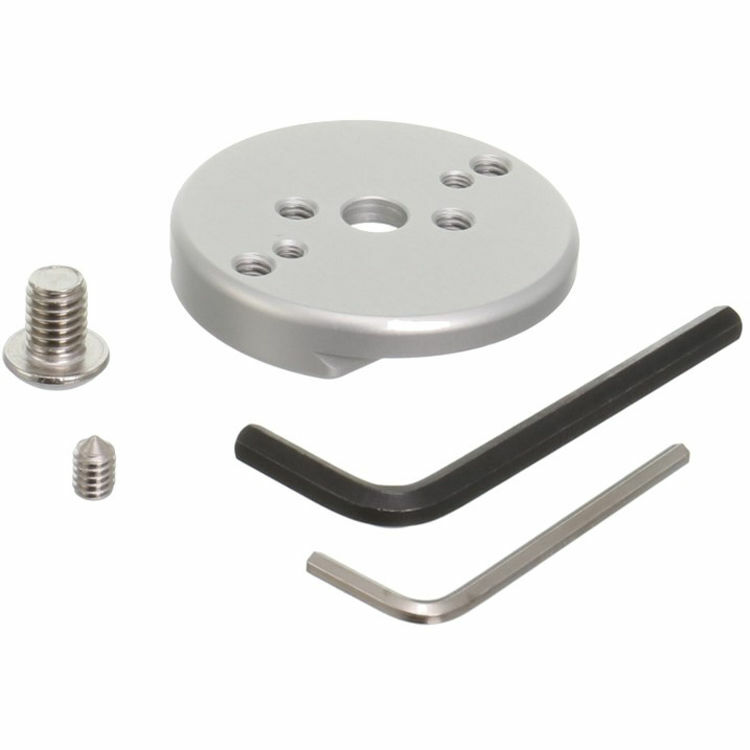 Box Dimensions (LxWxH) 5.25 x 4.35 x 0.65"
Tripod Head Quick Release Plate (Large) is rated 5.0 out of 5 by 1. Rated 5 out of 5 by James from HEAVY DUTY -STURDY Exponentially increases the tripod/ head combinations. Excellent addition to tripod/head equipment, almost a must have.